On the surface, this story has nothing to do with the Coogs. 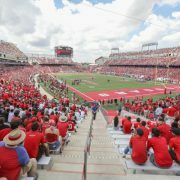 But it’s something to keep an eye on because the outcome will affect every FBS school – including UH. The combination of the early signing period and the transfer portal has shifted the power in college football. Bru McCoy, a 5-star recruit signed with USC in the early signing period. McCoy kept his signing a secret until January 5 at the U.S. Army All-America Game. He enrolled at USC on January 7th and a day later, USC offensive coordinator Kliff Kingsbury was named head coach of the Arizona Cardinals. Now, McCoy has put his name in the NCAA Transfer Portal and is looking to leave USC (presumably for Texas) less than 20 days after enrolling. He also wants an NCAA waiver in order to play immediately. If this occurs, watch out. What happens if UH signs a four-star player, he enrolls in January and then an A&M recruit flips to LSU right before the February signing period? The UH signee could decide to enter the portal and leave for College Station the same day. Or if UH gets a great player, he begins fall practice and someone at his position blows out his knee at OU. He could enter the portal and be on a plane to OKC within 24 hours. It seems unfair to the school. But if a coach can bail at a moment’s notice why can’t the player? The December signing period came about because coaches got tired of their commits getting flipped at the last minute. They viewed the early period as a solution because would now they have a binding contract 50 days earlier than the February signing date. But if a player can enter the transfer portal the day he steps on campus, the early signing period will mean as much as a recruit committing to a school. Very little. There were a bunch of excuses about why early signing would be good for the recruits but it was mostly BS. The early signing period was never good for the recruit. The timing of it was terrible for players just finishing their high school seasons. Players were forced to sign in December, otherwise they were not considered “truly committed” and their spot would be gone when the school found another kid to sign. But the biggest issue that schools and administrators never wanted to talk about is how coaching turnover affected recruits. In the old signing window, most staff changes were completed with very little coaching movement after signing day. Head coaches and coordinators were in place and players usually knew who their position coaches would be, too. Today, that is out the window. 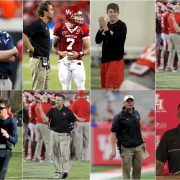 Schools either have to fire their coach during the season or immediately after to have a staff in place for early signing day. Or, they sit on their decision until after a signing class is locked up and after the bowl game is played. Once the carousel starts at one school, the effects ripple out to potentially more than a dozen other programs. A perfect example of this is what happened at UH this year. GoCoogs.com broke the news that Kendal Briles was heading to FSU 9 days before the early signing period. He didn’t officially leave until after the bowl game, partly because he’d just signed a new contract with a higher buyout and partly because too much was on the line for the school. Early signing day and the bowl game were the last gasp for Major Applewhite to save his job. If Briles had left at the same time the news broke, the likelihood of the class falling apart would have been high. Instead, UH did not acknowledge the news until after the class had signed and the bowl had been played. 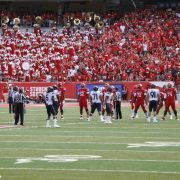 The bowl result was the last straw in firing Applewhite and hiring Dana Holgerson, who is a coup for UH. But the situation was not so great for the recruits caught in the middle. New coaches want their own guys and that leads to kids being released from their letters of intent. Schools and coaches can release a kid from their NLI with no obstruction or recourse. Anyone that is enrolled can leave but under the current rules they have to sit out a year and burn their redshirt. There is no balance there and the only ones hurt are the players. This is why the Bru McCoy situation is something to watch: McCoy is seeking a waiver to play immediately because he alleges that he signed to play for the offensive coordinator. With Kliff gone, McCoy is now out the door. We have seen waivers granted when head coaches leave but it will be fascinating to see how the NCAA treats the situation for when coordinators leave. It’s another example that players aren’t committing to a school. They are committing to the coaches that recruiting them. The dynamic has changed and the players have more power than ever before. The NCAA, school presidents, and athletics directors better start working with the players and enact policies that actually benefit them or this whole thing will be blown to pieces in the coming years.